The School has invested in the purchase of new digital development boards in order to enhance digital teaching and provide students with experience with the latest industrial devices and software tools. The new boards allow students to design, implement and test complex real-world digital systems using the latest Field Programmable Gate Arrays (FPGAs) and industrial tools developed by Xilinx. 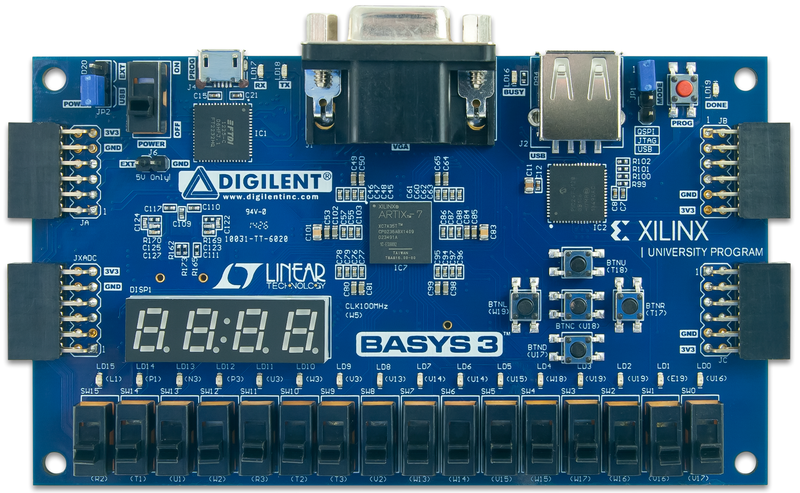 The new Basys 3 board boats the latest Atrix 7 FPGA with features including switches, push buttons, light emitting diodes, a 4 digit seven-segment display, an on-chip analogue-to-digital converter and USB connections to personal computers. 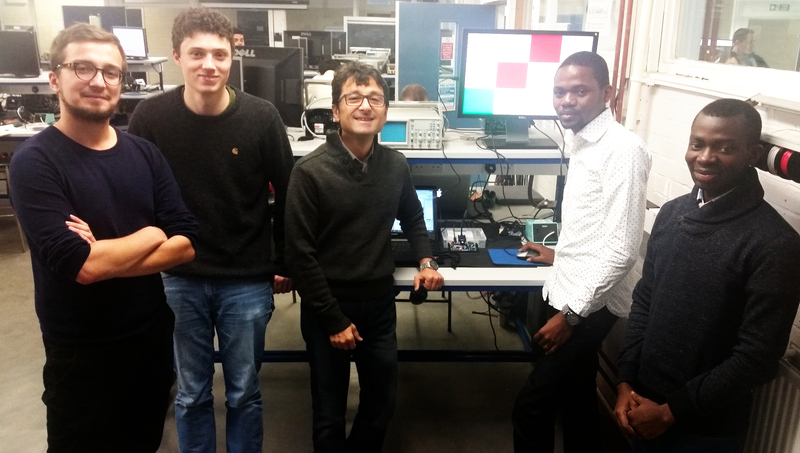 Currently the boards and associated software tools are used in Third year teaching of Digital Systems Laboratory and Engineering Software as well as MSc in Electronic Engineering. Example systems implemented by students in these courses include calculators, traffic light controllers, and both car and robotic navigation and control systems.